Castles - Books & Maps Only! 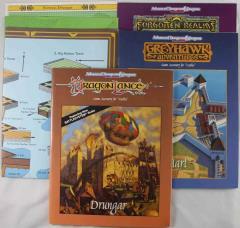 If you want the inspiration of the Castles set without all of the paper foldups or art posters, this set of the three books and maps is perfect for you. It contains only these crtical components getting you the content you want with less extra stuff you weren't looking for in the first place.